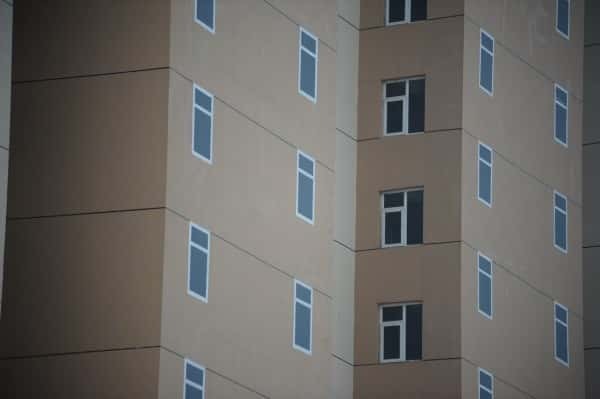 Do you notice anything strange about this building in Qingdao, Shandong province? 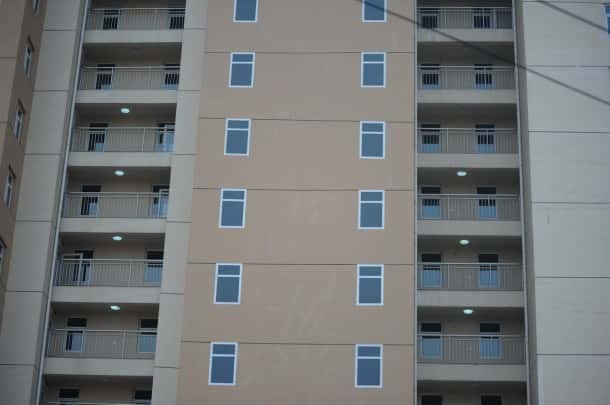 The building, recently completed, houses low-cost apartments created by the government. Civil engineers keep coming up with wonderful and amazing engineering products. One of the main factors that they need to consider is cost efficiency of the particular project. How to save materials and how to utilize them smartly is very important. 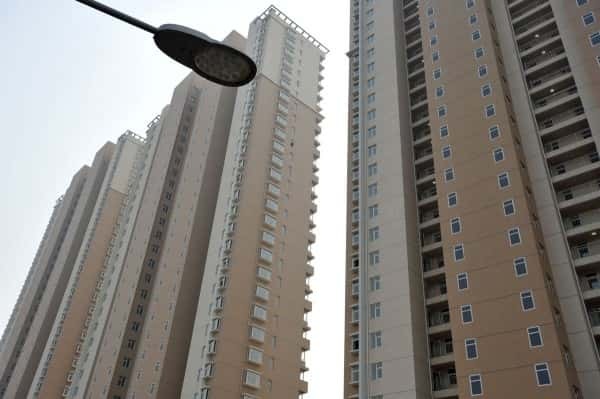 In China, new apartment complex has been constructed in the city of Qingdao and is being mentioned in news with cuting down costs, but how? 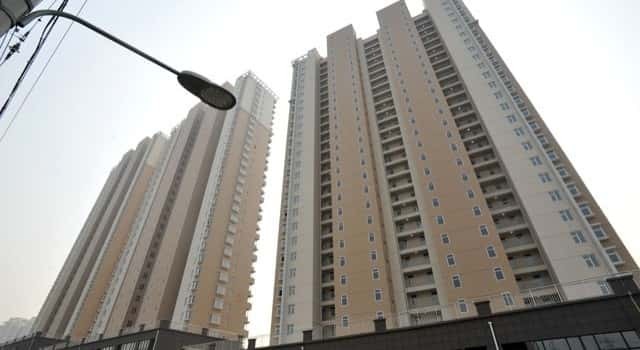 The Yichang Meijing ("Beautiful Scenery") Residential Neighborhood in Qingdao city’s Shibei district is a low-cost high-rise residential complex. On the walls of three buildings many “windows” were neatly painted. The buildings under construction are affordable low-cost residential real estate. 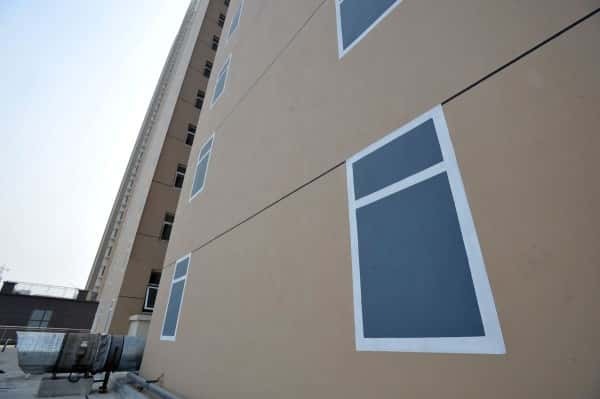 On the outer walls of the north face of the buildings are painted “fake windows” matching the specifications of the windows around it. 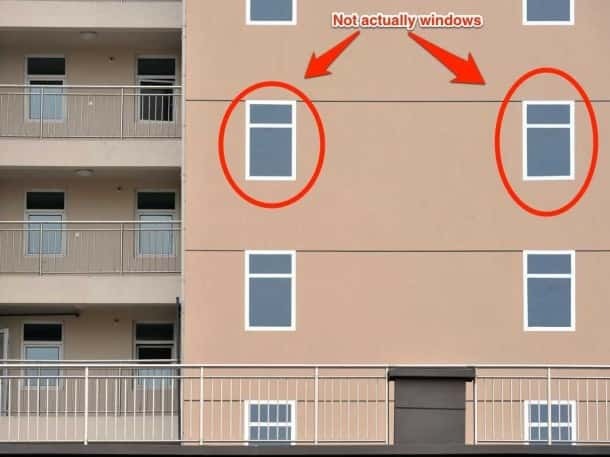 Apparently, the fake windows are on an area of the building that houses a staircase where it would have been impractical to have real windows, the government explained, and they were made for purely aesthetic reasons.